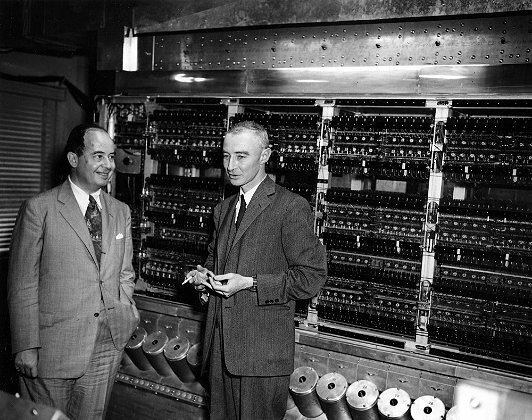 By the time the Manhattan Project was launched in the fall of 1942, Oppenheimer was already considered an exceptional theoretical physicist and had become deeply involved in exploring the possibility of an atomic bomb. Throughout the previous year he had been doing research on fast neutrons, calculating how much material might be needed for a bomb and how efficient it might be. Although Oppenheimer had little managerial experience and some troublesome past associations with Communist causes, General Leslie Groves recognized his exceptional scientific brilliance. 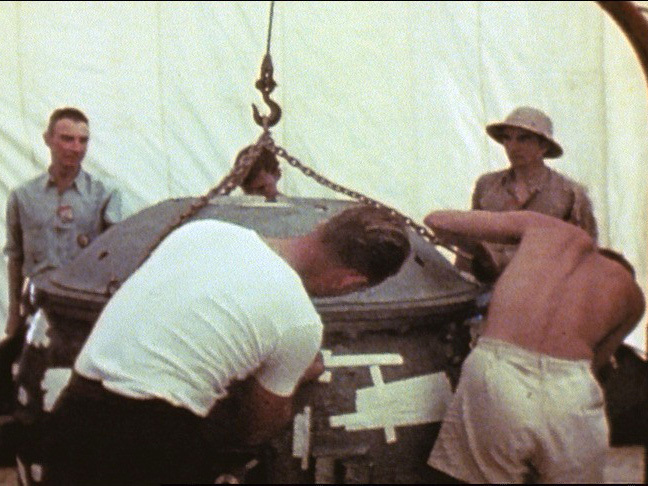 Less than three years after Groves selected Oppenheimer to direct weapons development, the United States dropped two atomic bombs on Japan. 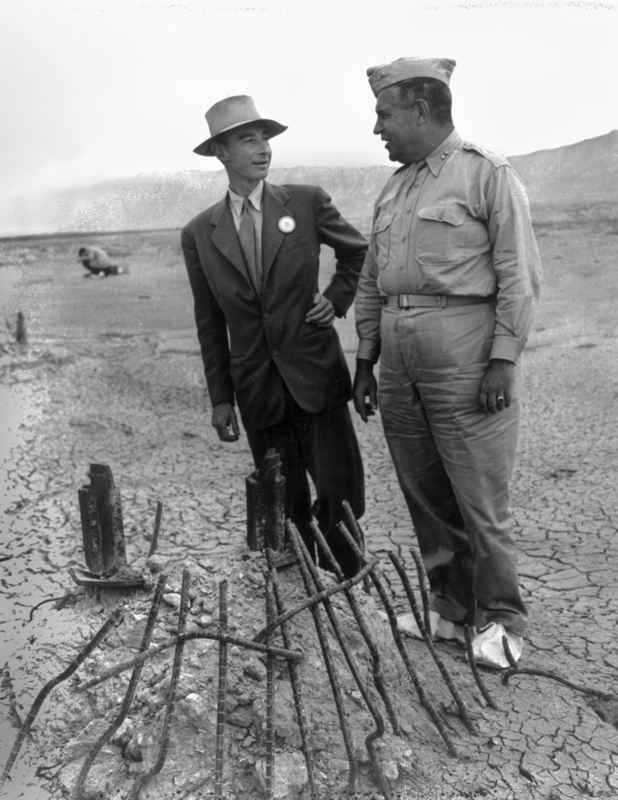 As director of the Los Alamos Laboratory, Oppenheimer proved to be an extraordinary choice. Oppenheimer was married to a botanist, Kitty. They had two children, Peter and Toni. Oppenheimer was born on April 22, 1904. Oppenheimer’s family was part of the Ethical Culture Society, an outgrowth of American Reform Judaism founded and led at the time by Dr. Felix Adler. The progressive society placed an emphasis on social justice, civic responsibility, and secular humanism. Dr. Adler also founded the Ethical Culture School, where Oppenheimer enrolled in September 1911. His academic prowess was apparent very early on, and by the age of 10, Oppenheimer was studying minerals, physics, and chemistry. His correspondence with the New York Mineralogical Club was so advanced that the Society invited him to deliver a lecture—not realizing that Robert was a twelve-year-old boy. He graduated as valedictorian of his high school class in 1921, but fell ill with a near-fatal case of dysentery and was forced to postpone enrolling at Harvard. After being bedridden for months, his parents arranged for him to spend the summer of 1922 in New Mexico, a haven for health-seekers. Robert stayed at a dude ranch 25 miles northeast of Santa Fe with high school teacher Herbert Smith as a companion and mentor. From there, he took five- or six-day horseback trips in the wilderness. 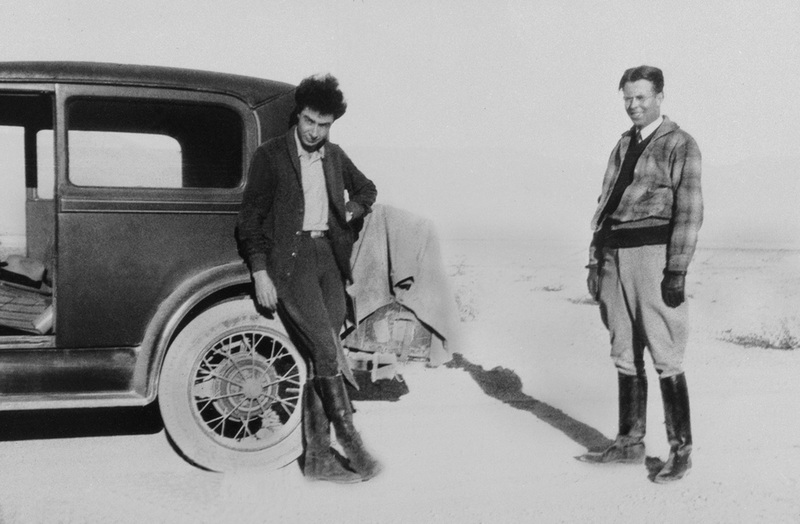 This experience restored Oppenheimer’s health and instilled a deep love for the desert high country. 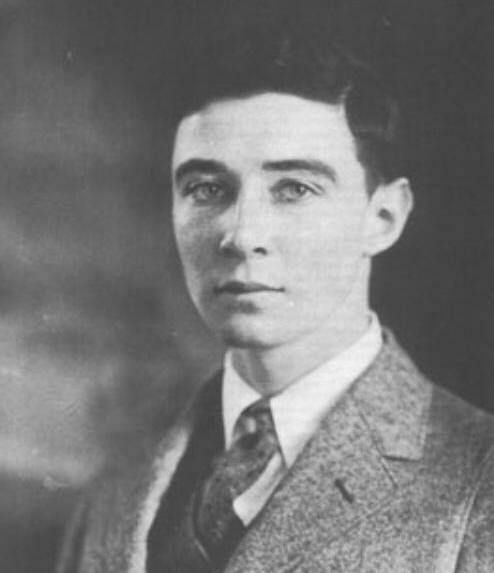 Oppenheimer enrolled at Harvard in September 1922. He graduated in three years, excelling in a wide variety of subjects. Although he majored in chemistry, Oppenheimer eventually realized his true passion was the study of physics. 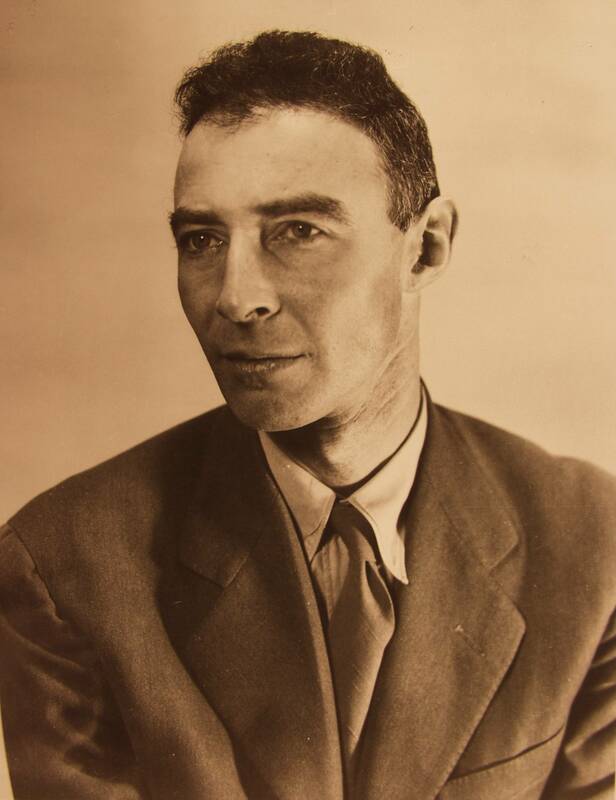 In 1925, Oppenheimer began his graduate work in physics at Cavendish Laboratory in Cambridge, England. J. J. Thomson, who had been awarded the 1906 Nobel Prize in Physics for detecting the electron, agreed to take on Oppenheimer as a student. At Cavendish, Oppenheimer realized that his talent was for theoretical, not experimental, physics, and he accepted an invitation from Max Born, director of the Institute of Theoretical Physics at the University of Göttingen, to study with him in Germany. Oppenheimer had the good fortune to be in Europe during a pivotal time in the world of physics, as European physicists were then developing the groundbreaking theory of quantum mechanics. 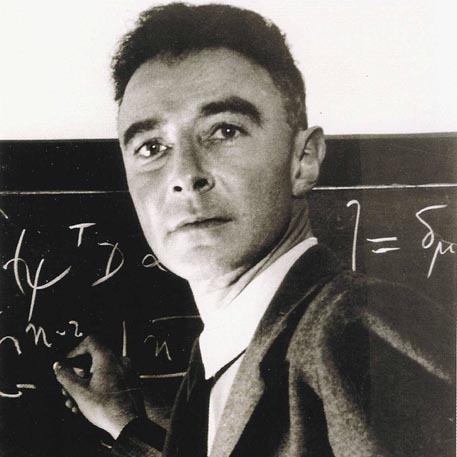 Oppenheimer received his doctorate in 1927 and accepted professorships at the University of California, Berkeley, and the California Institute of Technology. At Berkeley, he became good friends with Ernest Lawrence, one of the world’s top experimental physicists and the inventor of the cyclotron. Lawrence named his second son after Robert. His security clearance was revoked in 1954 in a hearing during the Second Red Scare. Oppenheimer's old Communist sympathies were dredged up and his clearance was revoked a mere 32 hours before it was set to expire. Oppenheimer had made political enemies by arguing against the development of the hydrogen bomb, and revoking his clearance stripped him of political power. The scientific community was outraged at the treatment of Oppenheimer, and reviled Edward Teller, who testified against him at the hearing. For more information, please see Oppenheimer Security Hearing. Along with Albert Einstein, Bertrand Russell, and Joseph Rotblat he established the World Academy of Art and Science in 1960. He continued lecturing around the world, and was awarded the Enrico Fermi Award in 1963. He died of throat cancer in 1967. 1922 After being bedridden with dysentery, spent the summer in New Mexico to recuperate. 1922 Enrolled at Harvard University. 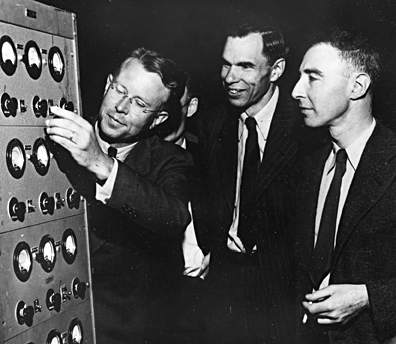 1925 Began graduate work in physics at Cavendish Laboratory in Cambridge, England under J. J. Thomson. 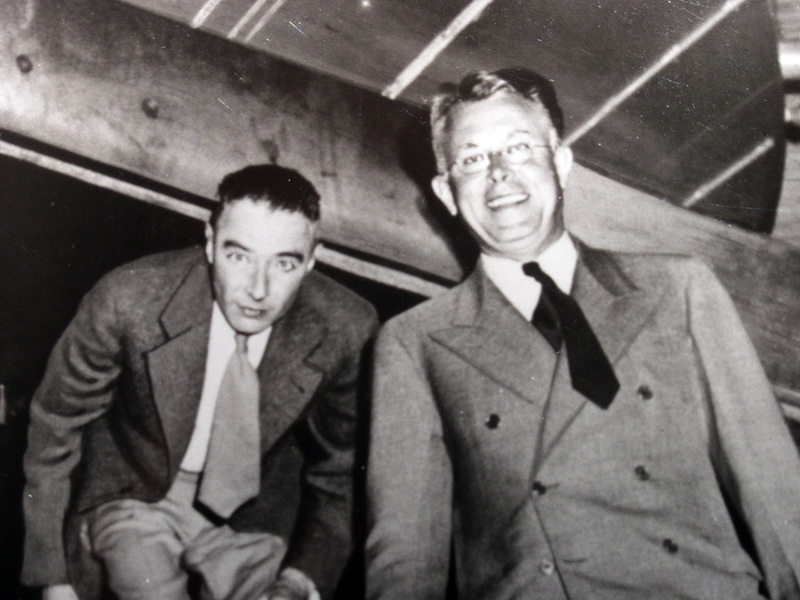 J. Robert Oppenheimer and Gregory Breit.